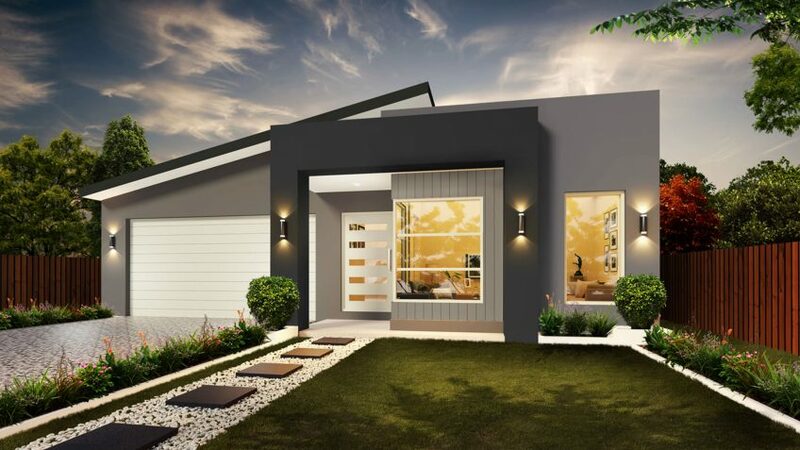 If you are after a modern design with plenty of stylish features, the Rosewood home is for you. Offering four bedrooms, this home cleverly goes against the standard Master bedroom at the front, resituating it to the rear of the home overlooking the patio. This design offers the Master bedroom leafy backyard views and quiet tranquility. The media room is situated at the front of the home to easily welcome guests and the open plan kitchen features a corner pantry for ample storage space. 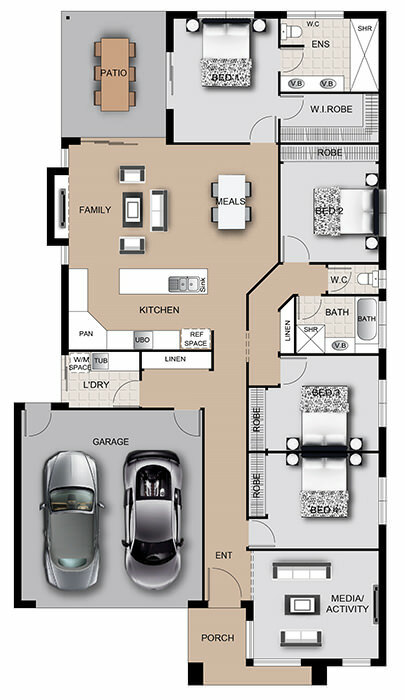 The Rosewood is a well thought out design, suitable and adaptable to every family’s needs.